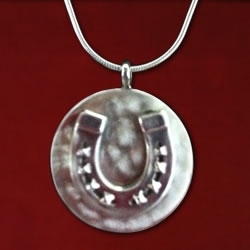 Measuring slightly over 1″ in diameter, this sterling silver disc with special stamping finish is highlighted by the horseshoe design. 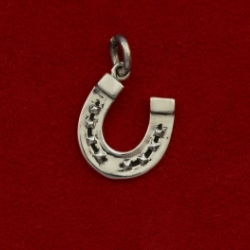 Comes on a 16, 18, or 20 inch snake chain with lobster clasp. A unique bold look! Looks much better in person….I took this photo! 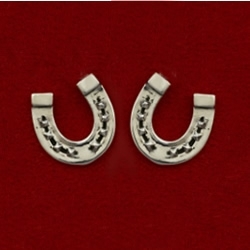 Measuring slightly over 1″ in diameter, this sterling silver disc with special stamping finish is highlighted by the horseshoe design. 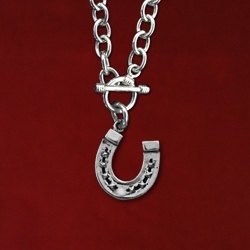 Comes on a 16, 18, or 20 inch snake chain with lobster clasp. A unique bold look! Looks much better in person!